I felt somewhat obligated to include this excerpt from the bug report guidelines. I decided to do some of the work and just start compiling all those forum posts regarding the issue. This should have a few benefits; you can see a nice concise post relating to a specific game issue (a Bug). This may also be a way to benefit those who may end, or ended up running into this problem/issue. On one hand those who already have had it happen to them they may finally get the help and solution to the problem they've had....for a few weeks? months? years? The benefit to those who recently run into this issue is knowing that with the number of people who have made posts and brought attention to it anytime it may have popped up.........well the benefit would be realizing you're not getting any help. No support, no fix, nothing. You wouldn't want to be holding on to hope for as long as some people have. Anyways, the obvious goal here is to get this resolved. I did a just a loose search for others who posted about the issue with their Friends List [F4] just showing up with 0/0.......This is not a new problem that JUST cropped up and needs the time to investigate the possible cause(s) and potential fixes. There is also a very easy way to show that this isn't anything new......because people have been posting about it for over a year. I'm purposely going out of my way to throw all of this up here, throwing out a bunch of links to all the previous posts on this issue from people trying to get some kind of help or support. ....I bet you're wondering how their story ended. It's not a Disney movie so think about the stampede scene in the Lion King, that's the end of the movie. .......can you really not do a single thing about this? 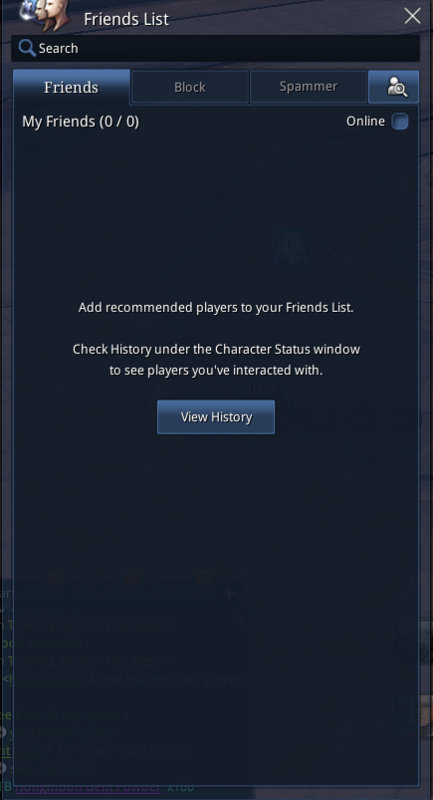 today i made a friend in a dungeon and they briefly showed on my friend list..I then relogged and it went back to 0 friends. when are we going to get a fix for this? its ment to be a social game and this has been going on for months! fix your game ncsoft - it isnt fun playing if you cant make and maintain friends!! whole reason i havent played since october tbh!